Each season, the house of Balenciaga always comes out with mouth-watering, irresistible colors for their super chic handbags that all of the fashionistas just have to collect them all! But for the spring-summer 2010 collection, there is a color that just captures my eyes! The “Moutarde” yellow, it is a warm, buttery, mustard color that is just like a ray of sunshine that makes you smile each time you look at it! 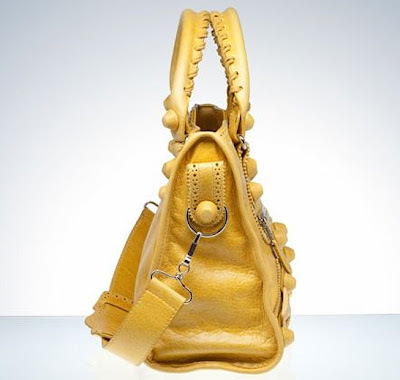 As we all know, the fabulous Balenciaga bags comes with various sizes “City”, “Work”, “Weekender”, “Day”….etc and available in various hardware such as “Giant Gold or Silver hardware”, “Classic hardware”, “Giant Rose Gold hardware”…etc and the bag we are featuring is the “Giant Covered Hardware” in the “City” size. So, one day I was talking with my friend Mrs. L ( she was my first friend whom I met at Parson School of Design NYC, we met in the elevator while moving into the dorm over her fabulous summer white Chanel bag! Yes, that’s how a true fashionistas met and started a beautiful friendship! 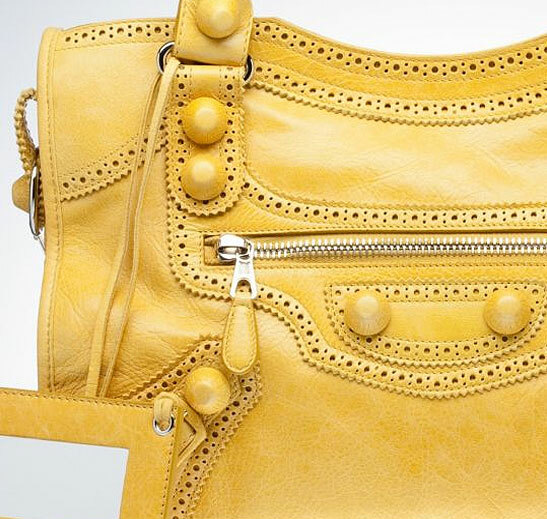 Haha) on the facebook about this fabulous color and she told me that she is going to the Balenciaga boutique in NYC to get one of this “Moutarde” yellow color “City” bag. So we asked her to document her shopping trip and share the fun with our readers! Here it is, the sunny & happy color "Moutarde" city bag ! 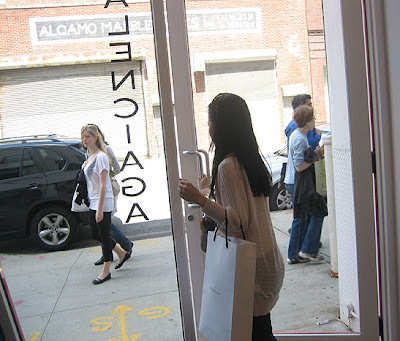 Balenciaga boutique in Chelsea, New York City has the most selections of handbags & clothing, also friendly sales person! Looking fabulous in this uptown chic downtown cool "Moutarde" yellow city bag! Mission accomplished! Bill @ Balenciaga Boutique New York (212) 206-0872 tell him, Alan from FashionistasDaily.com refer you, he will take good care of you! 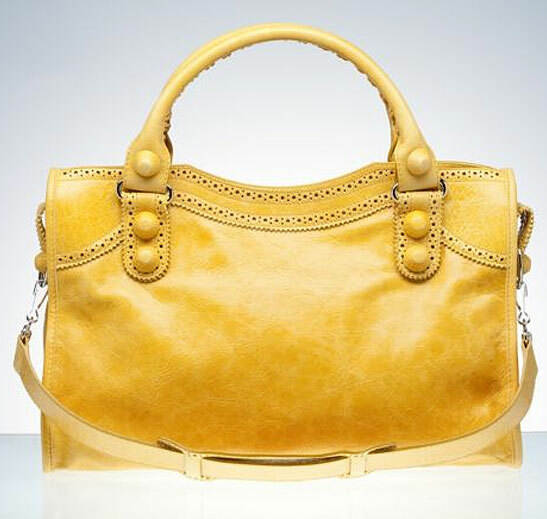 and help you to locate any special color or style of Balenciaga handbags or clothing you are looking for! Would you know where to get the Moutarde City with rose gold hardware? Hi PBDB: how are you? thanks for visiting my blog, I love the "Sang-Red" balenciaga you got from london!! did you post any modeling pics yet? if yes please let me know! I was just @ the San Francisco Neiman Marcus they have a giant covered Moutarde "Town" it's so cute! also please call Bill from the Balenciaga boutique in NYC, he has a RGGH town still available! 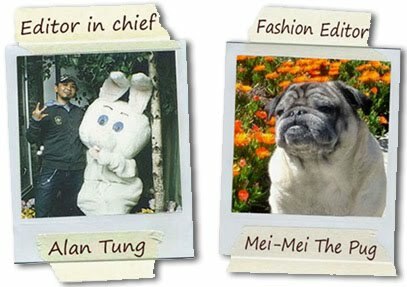 tell him Alan from fashionistasDaily.com sent you he will take good care of you! 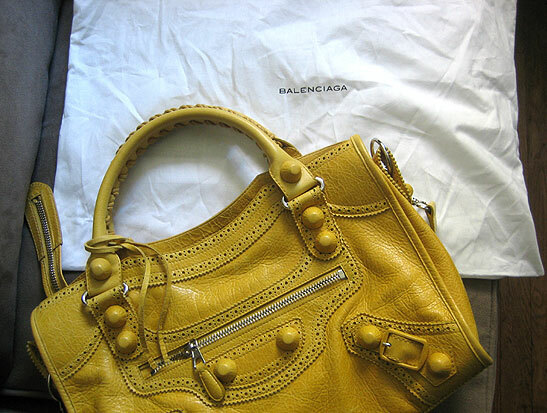 nice story... i love Balenciaga! !